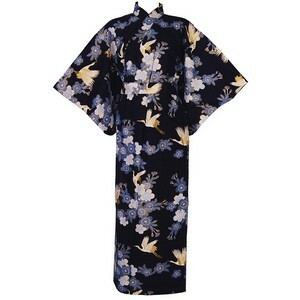 A comfortable ankle-length yukata with a popular crane design, ideal for wearing as a dressing gown. In Japan the crane, fabled to have a life span of a thousand years, is regarded as a symbol of good fortune and longevity. The pattern is accented by metallic gold.